With its clean, clinical style, Performance Lab SPORT Pre-Workout looks a lot more like something you’d see in a doctor’s office than weight room. This Performance Lab SPORT Pre-Workout review shows why this formula lives up to its look — with research-backed ingredients in hefty dosages and advanced forms that can really supercharge training performance to new heights. Advanced multi-tasking muscle booster. Targets muscle ATP energy, blood flow to muscles, muscle endurance, muscle hydration and more. For healthy muscle growth. Sets the stage for post-workout recovery with nutrients for growth hormone, muscle hydration and muscle protection. Clean and premium. Creapure® pH10, Cordyceps Super™, Ajinomoto®, Plantcaps®; free of banned substances, soy, caffeine and synthetics. Suggested Use: On training days, take 4-6 capsules 45-60 minutes pre-workout with 16-32 oz. of water. For best results, take consistently. Prime your muscles for personal best training performance that enhances anabolic results. Performance Lab SPORT Pre-Workout strips away a lot of the BS that we see in pre-workout supplements on the market today. It doesn’t have a ton of ingredients, but the ones that it does have are nicely dosed, evidence backed, and in premium forms that have potency and bioavailability advantages that amplify their pre-workout benefits. Even more important is that the ingredient combo Performance Lab SPORT Pre-Workout work well together, and in some cases, synergistically. 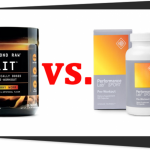 Let’s take a closer look at the ingredients in Performance Lab SPORT Pre-Workout and why it is a strong choice for maximizing intensity and packing on lean muscle gains in a safe, clean and healthy way. You gotta have creatine in your pre-workout supplement, and Performance Lab SPORT Pre-Workout’s Creapure® pH10 is probably the best form out there. Creatine may be the most effective supplement for boosting training performance to build lean muscle mass. There is a lot of research demonstrating creatine benefits for training performance and muscle growth, including studies that show creatine increases muscle power and endurance in athletes. Performance Lab SPORT Pre-Workout Creapure® pH10 is a special 99.5% pure form of creatine monohydrate that is pH-balanced to boost absorption and reduce the bloats and indigestion of cheap creatine. You probably recognize L-citrulline – it is one of the most popular ingredients in the best pre-workout supplements. It works by raising L-Arginine, which in turn increases nitric oxide to relax blood vessels and boosts blood flow to the muscles – enhancing training performance and unleashing muscle pumps. L-Citrulline supercharges muscle strength and additional ways, too – optimizing muscle ATP energy, enhancing oxygen utilization to enhance muscle efficiency, and blocking ammonia accumulation in muscle to extend physical endurance. As a bonus, L-Citrulline’s minor role in protein synthesis appears to help with muscle soreness while supporting muscle growth. Cordyceps has been suggested to spark cells’ mitochondria power plants to increase the production of ATP energy, while enhancing cell oxygen utilization in a similar way as citrulline does. 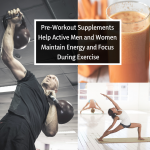 The result of these dual activities, especially in conjunction with the activities of L-Citrulline, are across the board enhancements to physical performance in both strength training and cardiovascular exercise. Performance Lab SPORT Pre-Workout Cordyceps Super™ is a patented form of cordyceps that is nature-identical and easy to absorb. L-Glutamine is the most widespread amino acid in the body, mostly concentrated in muscles. Here, it regulates muscle power, anabolic growth of lean muscle mass, and muscle repair and renewal. In addition to helping lean muscle gains, L-Glutamine helps your workout by countering fatigue-inducing lactic acid, protecting muscle tissue against free radical damage, and bumping growth hormone production. The more intensely that you train in the gym, the more rapidly L-Glutamine is depleted from muscle tissues. So L-Glutamine really belongs in every pre-workout supplement, to ensure that you keep your hard-earned GAINS. Performance Lab SPORT Pre-Workout supplies a high-quality form made by Ajinomoto®, a leading amino acid manufacturers known for its clean production. L-Carnosine is like a big tough bodyguard for your muscle. Specifically, it protects the fast-twitch muscle fibers that are used by bodybuilders and other athletes who engage in explosive, short-duration muscle power. During and after your high-energy anaerobic training session, your muscle tissues – right down to the proteins – are being damaged by toxic free radicals, advanced glycation end-products (AGEs), and various acids. These negative factors can limit your gains. L-Carnosine supplies antioxidant activity, acid-buffering activity, and AGE-neutralizing activity – making it uniquely qualified to minimize work out damage to muscles while maximizing muscle growth and health. Like L-Glutamine, L-Carnosine seems to get more valuable as training intensity increases. Fast-twitch muscle tissue that is saturated with l-carnosine has been shown to have greater power during workouts. Salt is an important ingredient for any work out because it helps to maintain hydration throughout the body, including in your muscles. Salt also boosts absorption of L-Citrulline, L-Glutamine and L-Carnosine found in Performance Lab SPORT Pre-Workout, pumping up the formula potency. Himalayan Pink Salt is better than regular salts because it is unprocessed, with minerals that help intense training like potassium, calcium and magnesium. Performance Lab Sport Pre-Workout’s Pine bark is 95% proanthocyanidins, which is the strongest potency you can buy. Performance Lab Sport Pre-Workout skillfully combines sports nutrients to boost training intensity and physiological performance – everything your body does to energize, contract, build and repair lean muscle. Performance Lab sport is a balanced pre-workout formula: For every performance-boosting feature, it supplies support for muscle health. The crucial muscle protective factors mean less muscle damage, less muscle atrophy, and less soreness. You get to work out harder, keep more of the muscle that you build, and get back to training with less discomfort so you can keep on gaining every day. 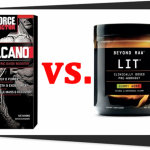 Ultimately, the balanced approach of Performance Lab Sport Pre-Workout — equally emphasizing muscle strength and muscle health — is capable of producing much bigger lean muscle gains. 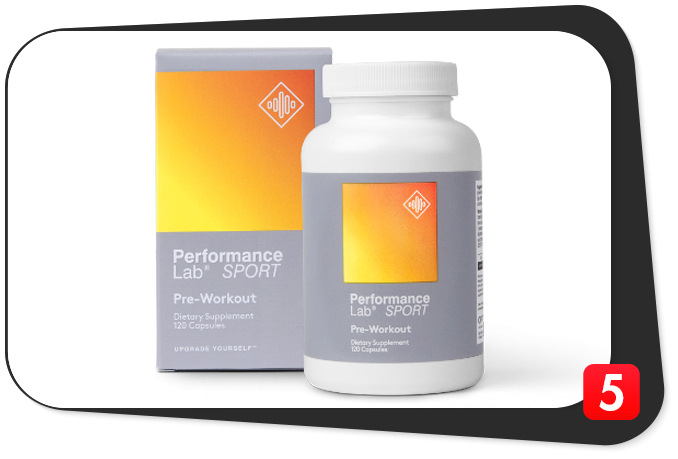 Performance Lab Sport Pre-Workout is formulated to maximize physical intensity across all kinds of workouts. If you’re lifting heavy weights, Performance Lab Sport Pre-Workout helps charge up your muscles for greater strength and power. If you’re doing some cardiovascular fitness exercise, it helps to boost your endurance and extend your workout time to exhaustion. The clever twist in Performance Lab Sport Pre-Workout are its muscle health-supportive benefits, which help to keep muscles primed for optimal growth and development. Performance Lab SPORT Pre-Workout benefits: Better physical performance, bigger gains, and muscle mass that is easier to maintain. Performance Lab SPORT Pre-Workout can be taken by anyone. Notably, it is a great pre-work out choice for both bodybuilders seeking to build mass with heavy lifting and other a lot athletes seeking to improve cardiovascular fitness and endurance. A science-driven formula, Performance Lab SPORT Pre-Workout will attract the technical-minded athletes who gravitate towards a scientific approach to building lean muscle mass. And, since it is a clean formula, it will also attract bodybuilders and athletes who follow a clean lifestyle — along with anybody else who is sick of the ridiculous artificial colors, flavors, preservatives fillers and synthetics that are found in so many pre-workout supplements on the market. We have no side effects concerns in this Performance Lab SPORT Pre-Workout review. None of the ingredients are presented as megadoses that can make you sick to your stomach. Instead, Performance Lab SPORT Pre-Workout features balanced servings of high-quality ingredients that are much better tolerated. Its natural sports nutrition, vegan plant caps, and complete absence of artificial colors, preservatives, stimulants, and banned substances reduce the risk of side effects to virtually zero when taking Performance Lab SPORT Pre-Workout. Efficient, scientific and synergistic design. Just a few carefully selected research-backed nutrients that target a lot of muscle performance and growth pathways in a powerfully effective way. Premium quality ingredients. Literally some of the best sports nutrient brands on the market, enhanced forms across the board – adding up to better safety, fewer side effects, and superior results. Caffeine free. No stimulants = sophisticated formulation. If you want caffeine, it’s smarter to get it elsewhere. Every granule in this supplement is laser focused on muscle health, performance, and growth. Well-tolerated. Balanced dosages, premium nutrients, clean label and no caffeine make for a pre-workout supplement that is safe and comfortable to take every day. No indigestion and no bloats. You can’t buy it everywhere. You can only get it at the official Performance Lab website, so you won’t see it at a health food store, Amazon or GNC. The price is what it is, but you can get deals if you buy more than one box. 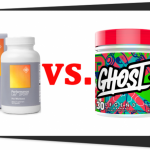 Many people are fed up with junky pre-workout supplements. You know the ones. Crazy colors, disgusting flavors, puzzling proprietary blends and formulas that try to do way too much. Clean, clinical, science-based Performance Lab SPORT Pre-Workout is the opposite of all that. By using just a few sports nutrients in the best forms available, Performance Lab SPORT Pre-Workout boosts both aerobic and anaerobic training; stimulates muscle growth; and helps keep muscles healthy. The end result gives us all we want from a pre-workout supplement: MAXIMUM GAINS.